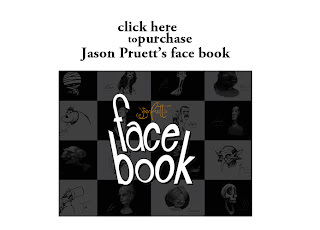 I received this from a guy named jason who watched my online video on how to self publish. You can purchase his book here on amazon this is what he wrote. I watched your presentation on book making on schoolism.com and I made a book. I'm starting small with black and white print-on-demand. My good friend Bob Boyle is the Emmy Award winning creator of the Nick Jr. series, Wow! Wow! Wubbzy! and is author/illustrator of the children's book, Hugo and the Really, Really, Really Long String. He also created the Disney series, Yin! Yang! Yo! and was a Producer and the Art Director of The Fairly OddParents. He just released the new children's book Hugo. check out this fun trailer and send him a shout. This class was awesome. I got to learn so many things that I know I wouldn't have been able to learn anywhere in Alaska. I'm going to start slowing down with my drawings and do more sketches from life. Character design is what I love to do and now I feel like I'll be able to draw the characters that have been locked up in my head because I was too scared to draw them before. Thanks for a great time Silver. Without exaggeration, this has been one of the best classes I've ever taken in my life. Thanks for sharing some of your trade secrets, which you earned through hard work over many years. These 'short-cuts' you've given me are an incredible boost. 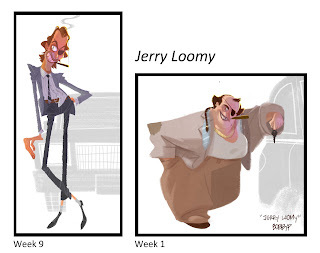 Stephen Silver's Schoolism course on animation character design has blown away my ideas on what an online course can offer. Stephen uses videos to hand us the tools to improve our artwork with in-depth lessons and personal critiques that are hand drawn over our own assignments. We get to see where we've succeeded in applying his lessons, but more importantly where we've strayed so we can learn from our mistakes. I can't say that all of his lessons have sunk in yet, but I've already noticed an improvement in my artwork. And I have more confidence in my abilities too! 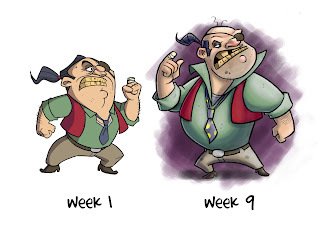 During the nine weeks in Stephen's class I really learned to discipline my process in character development and design. Stephen has a palpable passion for this artform, and it is contagious. His encouragement to constantly practice our craft, explore different styles, and to keep studying were all keys to our improvment. He clearly breaks down his process without imposing his own drawing style on yours. From thumbnails to turnarounds to expression sheets, I really felt like my development process took a huge leap forward. I came away from the class with the message that it's all about passion, discipline, and practice. 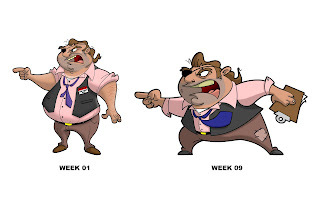 As a professional designer, I started Stephen Silverís course with the idea of improve my character designing skills and learn how to success in the industry. And I absolutely arrive to that goal, and far beyond. Iíve not only learned a lot about drawing and designing, but about how to face some usual artistís problems, frustrations, and blockings. I realized the importance of drawing daily, and how to do it in a successful way. This course gives fuel to my passion for drawing, and awake my desire for draw more and more. Stephen is not only a great professional of the designing industry, but a great instructor. His lectures are fill of love for drawing and designing. He shares all his knowledge and talks about his own experience. The explanations are clear and filled with great information. You will want to watch it once and once again. Guaranteed. Also, a very important thing for me is that when I had some problem with the assignements, or with the course, I could easily talk with my instructor and he solved them quickly and very kindly. I absolutely recommend this course to everyone who wants to improve his designing skills, learn a lot about design and drawing and have a lot of fun. This course turned out to be everything I was hoping for, and more. Your experience and enthusiasm for what you do comes through, not only in your lessons but in the critiques as well. Not only have I seen the improvement in my own work, but I have caught myself saying things like ìWatch those tangents!î when I am doing critiques at work. You sir, were (and still are) my idle while I was going to art school. It has truly been my honor to have spent this pass nine weeks under your tutelage. And for that I thank you. This is a cool little piece that I am featured in from the gallery nucleus show I was part of for the Alice in wonderland exhibit. I was part of a brand new reality show called The Antonio Treatment that aired on HGTV Sunday- March 14th. My studio was filmed and I also drew a caricature of the whole crew for Cartoonist Mattdaigle.com I was filmed drawing the whole crew. It was alot of fun. 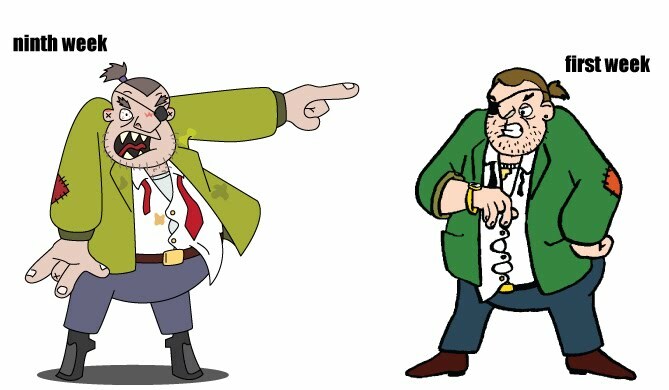 This is a sample of one of my weekly video critiques I give my students on my online character design course @ www.schoolism.com. It is a nine week one on one class with over 18 hours of video instruction. I can work with you privately weekly or you can take the self taught where you get to just watch the videos and other student critiques. The next class is starting on April 5th, seating is limited and almost full. To view dates, lesson plan and student testimonials go to www.schoolism.com,courses and lessons,character design with stephen Silver. I made a new trailer for the two hour film, check it out. Stephen Silver was born in London, England on August 30th 1972. Aspiring to be a professional artist his whole life and knowing drawing would be his vocation, Silver got his professional start in 1992 drawing caricatures in amusement parks. In 1993 he went on to establish his own illustration company called Silvertoons. 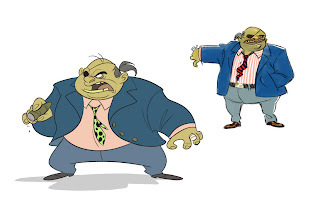 By 1997 Silver was hired by Warner Bros. Television Animation as a character designer, and has been working in the animation industry ever since. He has worked as Character Designer and Supervisor for Disney Television Animation, Sony Feature Animation and Nickelodeon Animation, designing characters such as "Kim Possible", "Danny Phantom" and Kevin Smith's "Clerks" the animated series, to name a few. Silver is the author and artist of seven self-published books on the art of sketching, caricature and life drawing. 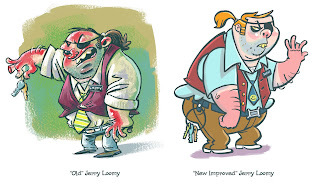 In addition to working freelance full time, he also teaches an online character design course at schoolism.com. Silver names three treasures to success in life that give him what it takes to keep on drawing: passion, desire and determination. Design a personalized gift at Zazzle.